Former Rep. Beto O'Rourke said amid the debate about building out the wall on the border with Mexico that, if he could, he would take down existing barriers, NBC News reported. "Absolutely, I'd take the wall down," the Democrat from the border town of El Paso told MSNBC's Chris Hayes in an interview Thursday, adding that the 600 miles of wall and fencing already built along the border haven't made Americans demonstrably safer. O'Rourke's comment comes after he was asked on Twitter by current Rep. Dan Crenshaw, R-Texas, if O'Rourke would "snap your fingers" and eliminate El Paso's border wall. 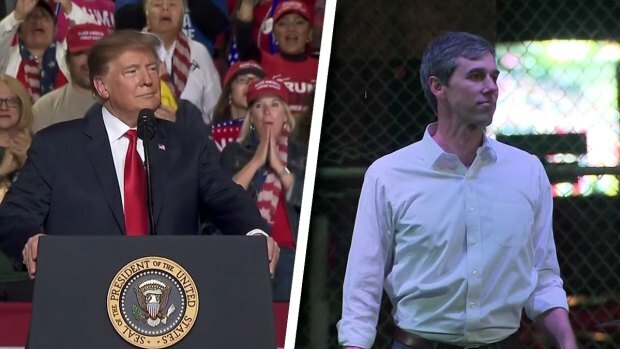 On Monday, while President Donald Trump was in El Paso rallying support for his proposed border wall, O'Rourke led a rally nearby challenging his message.